Brand collaborations are definitely a given in the blogging world, yet no one ever talks about how you should go about handling them if you find yourself involved in one. Nothing is worse than the exciting moment when you receive a collaboration email and you haven't a clue how to respond in a way that's professional and cultivates a lasting relationship. I thought it about time I covered everything from finding/obtaining brand collaborations to keeping them around for longer than one blog post. Of course I first have to start off by saying you shouldn't be blogging just to get free stuff. If that's your motive then your blogging experience won't be a happy one in the long run. This post is geared more towards helping out people who find themselves in a brand collab. situation rather than those out hunting for free swag. Now that the disclaimer is out of the way. Let's do this thing. Create a disclaimer page that's clearly visible so companies know what to expect when they're working with you. You want to say something about how you can't be paid to say good things about a brand, etc. Check out mine if you want any tips or ideas of what it should say. Provide your contact information in an easy to find location so they can contact you. Keep an eye on your stats. Keep track of how many followers you get each month and your blog's engagement. Brands may want to know this when working with you. 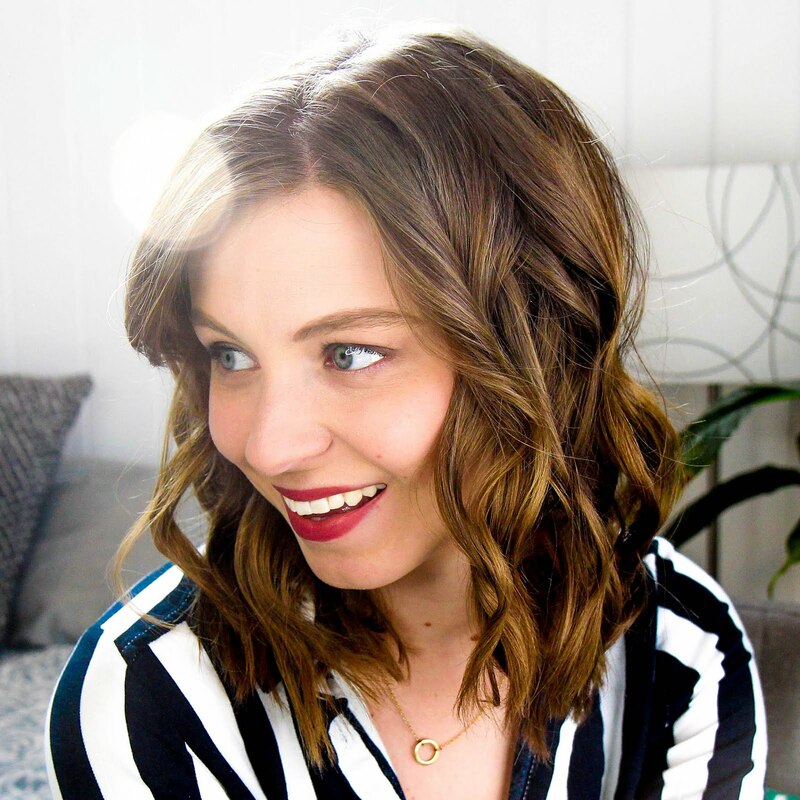 Create a consistent blog content schedule so when brands do find your site, they see you're active on your blog and don't just post occasionally. Engage with brands on social media. Tag them in blog photos you post on social media. If you're already talking about their brand they might be more interested in helping you continue talking to your audience about them. Clearly figure out what your blog is about and how you market it. No one wants to collaborate with a blog that's all over the place and doesn't have a clear subject matter. Always respond promptly and use the person's name who sent you the email. Say thank you. It's super nice of them to reach out to you. Decide if the brand fits with your blog and your subject matter. You shouldn't accept hair care items to review if you talk only about home decor. If you post about something randomly outside of your subject genre then your audience might falter as they realize you're just writing about the product because you got it for free. Figure out what collaboration they're wanting to do. They could just want to send you some samples of their products or they could want to sponsor a specific post about their brand. If it isn't clear what they're hoping to achieve, it doesn't hurt to ask for clarification. If they want to sponsor a post, give them your prices and always direct them back to your disclaimer so they know what to expect from any collaborations with you. Suggest doing a giveaway with the brand to engage your audience even more than with just a post. Remember that they probably get hundreds of emails every day like the one you're sending so be concise and don't get upset if you don't hear anything back. Clearly explain why a brand collaboration would be beneficial to them by showing them your blogging stats, discussing your audience demographics, and providing social media information. Provide them with a detailed list of exactly what you plan to do for their collaboration. Are you going to make YouTube videos and blog posts or just feature their products in other posts you're already writing? Give them a sense of what to expect. Target the email specifically to them rather than just sending a blanket mass email you've sent to hundreds of other brands. Remember that you're contacting the brand because you enjoy it and think a collaboration coudl be beneficially to both of you, not just to get free things. If they decide to send you products, be sure to email them once they arrive so they know that you've received them. Email them links to posts and videos you've featured the products in so they can access your information easily without having to remember to go look for it. Tag their brand in all social media posts. If you have any questions about the products or want to make sure your info about the brand is correct, don't hesitate to email the person you've been talking to back. Check back in with them a few weeks/months after the initial collaboration to share with them links of other posts you've written since you first got in contact with them. It's a great way to show them that you're still engaging with their products after the first collaboration is technically over. 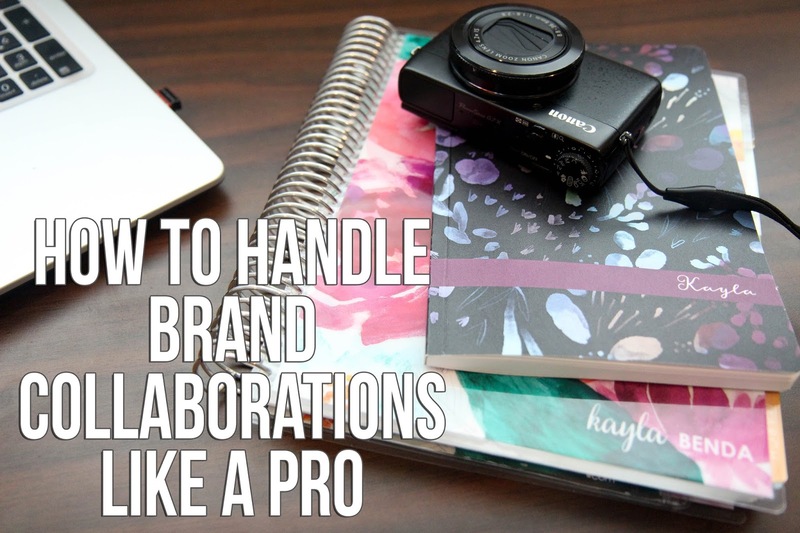 Brand collaborations vary from brand to brand and from blog to blog, so definitely do what works best for you and your blog. Brand collaborations are exciting, but make sure you're doing them for the right reasons and accepting products that really fit your brand and image. Have you done brand collaborations before? What would you add to this list?